Please add our banners to your various sites. 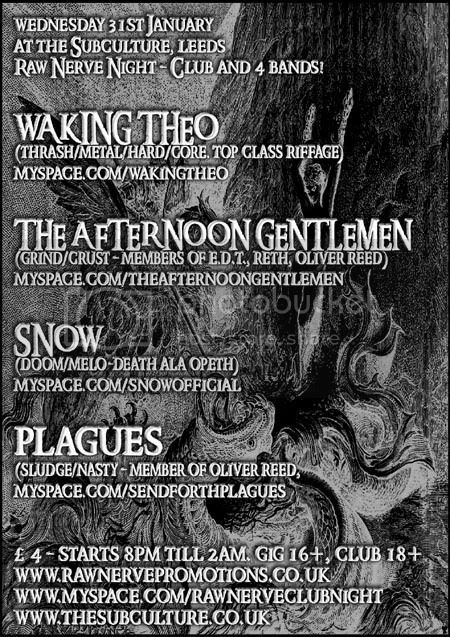 It would be great if you could add us to your friends list and help to spread the word of Raw Nerve. 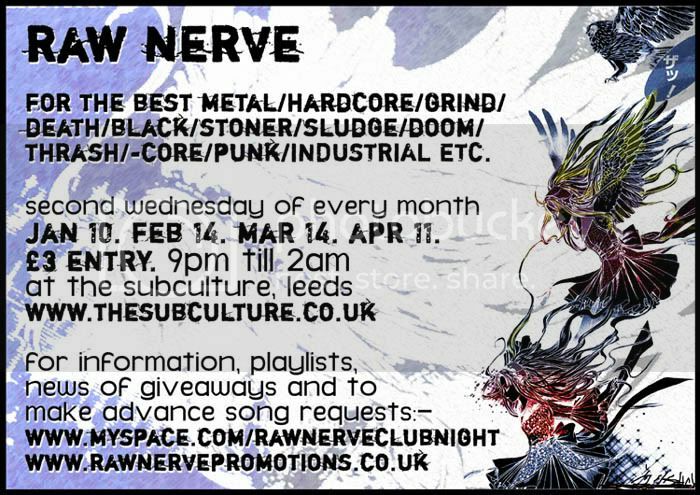 Feel free to use Raw Nerve (this page and the main site) to promote anything music related; gigs, tours, merch, distros, advertise for band members, recommend music to check out, share artwork & photography - whatever you fancy. Raw Nerve is a resource for everyone. Please visit the amazing folk who helped us with our massive overhaul and re-design; and more recently our server change and hosting. You name it... we'll give it a listen! So whether you're a band or simply a music fan into grind, hip hop, screamo, sludge, rap, pop, ska, death, ambient, punk, industrial, techno, noisecore, drum n bass or any other music genre under the sun, don't be afraid to drop us a line and get involved. We do NOT arrange gigs. We do NOT arrange tours. We DO help promote your gigs and tours when they are already arranged, and we DO have potential to promote your band with our band profiles, links, our huge forum, the flyer distribution service and lots more.